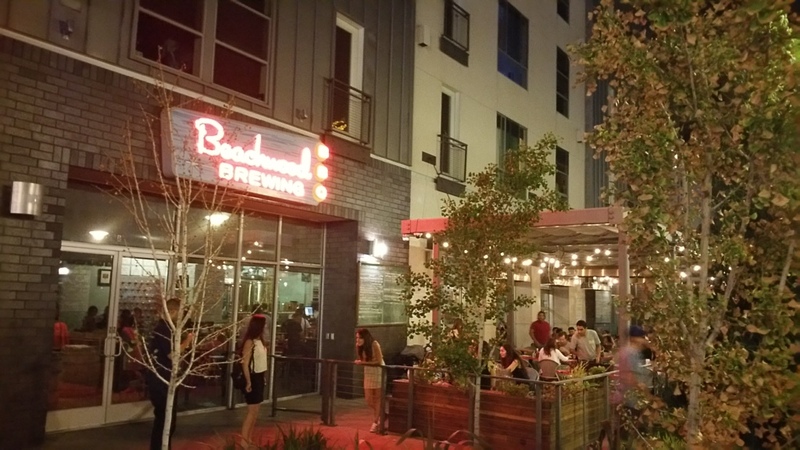 Last night was the final night of the six-night biennial SourFest, hosted by Beachwood Brewing, so I made my way over to the Long Beach location. When I arrived, there was fortunately a calm atmosphere, with space at the bar and tables available, both inside and out. There were still two dozen sour beers left on-tap available for purchase, which was plenty, so I decided to drink about a quarter of them. Having visited on the first night (in Seal Beach) and the subsequent two nights (in Long Beach), I was curious to experience some other sour beers. 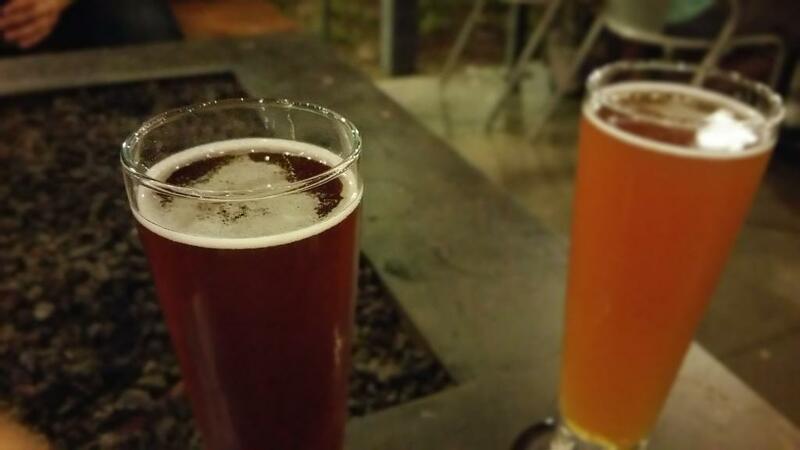 As the rest of the SourFest, customers were limited to up to two beers at a time, either in 5oz pours or 10oz pours. I decided to – as I had with the other nights – stick to 5oz pours. 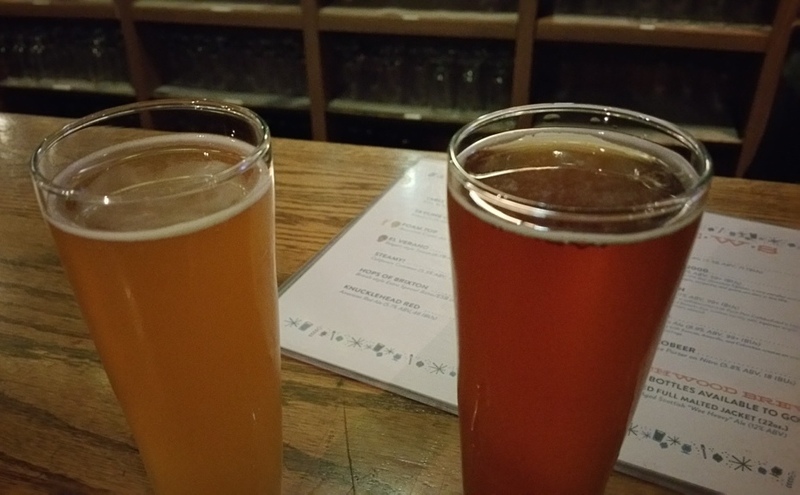 I started off with two sour ales with cherries, beginning with Moylans’ 2014 Lonely Tarts Club (5.3% ABV), which had a pleasant mild tartness, slightly dry, light effervescence, as well as fruitily sweet, and calm. To be frank, it seems like a lot of the other sours I had on the first few nights. However, the next beer of the night was starkly different, in a great way. 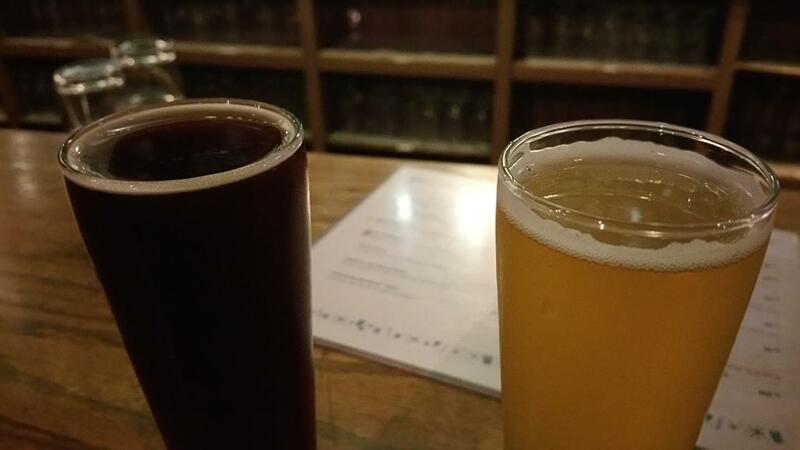 The highlight of my night was the following beer: Almanac’s 2015 Dogpatch Sour (7.5% ABV), which was so much Yes!!!!! It was the most tart beer I drank at SourFest. It was definitely the sour beer I was looking for at SourFest! While there is not much going on on the nose, once it hits the palate, it grabs the tongue at the very front and holds onto it. It was less sweet, slightly more effervescent than previous beer, and one can enjoyably taste some barrel on it. 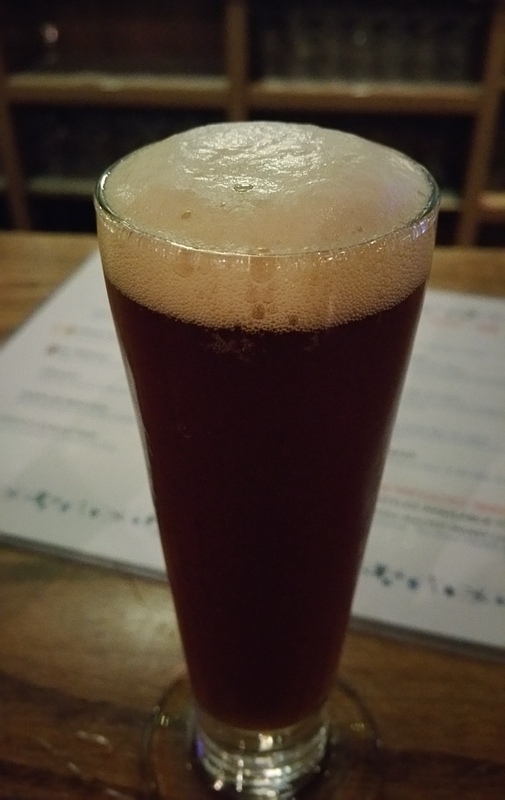 While the Dogpatch Sour was absolutely my favorite beer (it was the most tart) of SourFest, I still decided to drink more, which was unfortunate, since the incredible tartness of the Dogpatch Sour still remained in my mind, and nothing could stand up to it. For the next couple of beers, I first drank New Belgium’s 2014 Tart Lychee (7.5% ABV), a barrel-aged sour with lychee, which has a fruitily sweet nose, with a continuing fruitiness, light effervescence, and light tartness. 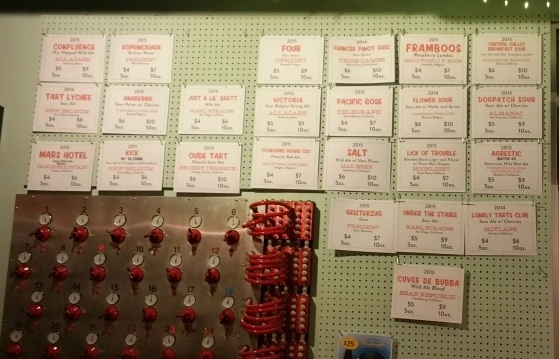 But, then again, anything will seem it has a light tartness after drinking the Dogpatch Sour. Next up was Firestone Walker Barrel Work’s 2013 Agrestic (Batch #1) (6.6% ABV), a double-barrel ale, which certainly had a lot going on. It was more effervescent than any of the other beers of the night, a little bready, and some extra flavor coming through from barrels. This was an interesting beer, even amongst the other sour beers. For the next two beers, I went with bigger beers, kicking off with Allagash’s 2015 Victoria (9.0% ABV), a Belgian strong ale, which was sour, but some very fascinating body, which I’m neither sure whether I like it or not. I would not order it again, but it doesn’t mean it’s bad, maybe my taste buds just know what to do with it. I could tell it was slightly boozy, with some breadiness. Fruitiness on this tastes kind of like an apple cider. Next up was ‘t Hofbrouwerijke’s 2015 Anarkriek (8.5% ABV), a chocolate porter with cherries, which was very dark cherry, with a sturdy body and matching effervescence. After these six, I decided I would finish off with a seventh beer, choosing Brouwerij Strubbe 2011 Ichtegem’s Grand Cru (6.5% ABV), a Flanders Oud Bruin, which was a pleasant way to end my night. It was sweet like berries, effervescent, and a nice little tartness blended with a little dryness. While I am sad to see SourFest ending, I was glad that it took place and that I was able to partake in most of the nights, as well as getting more exposure to sour beers. Of course, I was really delighted to have come across Almanac’s 2015 Dogpatch Sour, which was certainly the most tart beer that I drank during SourFest (and probably the most tart beer that I have ever had), and that I may be on the lookout for…. While Beachwood is closed today, when they re-open tomorrow, they will still be serving sour beers that are leftover from SourFest; it may be worth visiting….